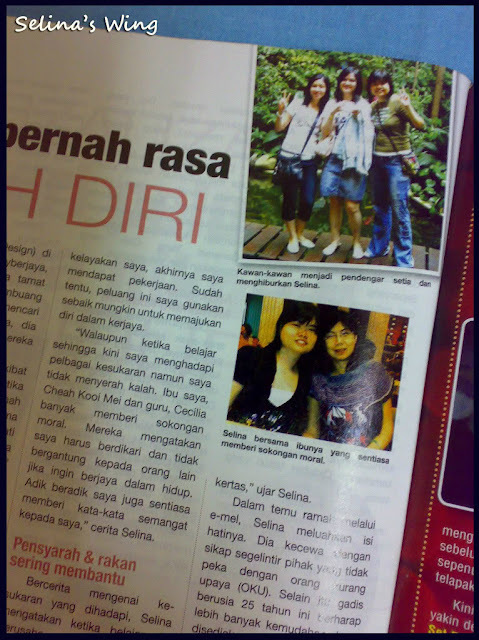 Deaf Selina's interview published in Mingguan Wanita! Wow! 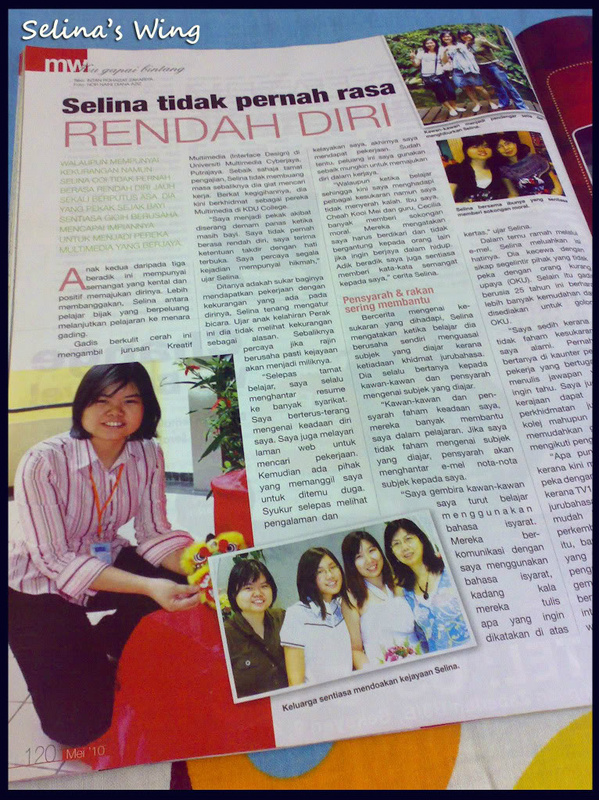 I am very happy when my interview in "Mingguan Wanita" magazine finally be published on this month, May 2010! 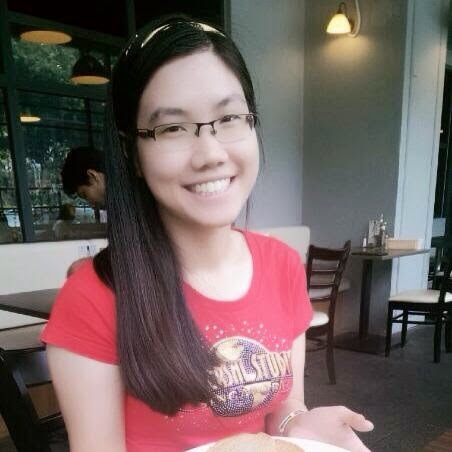 How I get an interview from the "Mingguan Wanita"? They attracted to my blog and get know me deaf blogger who always wrote about my personal interest and Deaf community Malaysia so they emailed me on last month. Lucky, my blog get alot of visitors so my blog already become popular in Deaf Community in Malaysia! Since I was studying in Multimedia Univerity (MMU), I started to blog on my first time during my beta year...but, I also not free because I have a lot of assignment because I am first Deaf student also get many challenges which I face and also hardworking to get good results in Multimedia Univerity (MMU)! I remembered that the blogging used to be not famous in the Internet in 6 years ago... Today, a lot of young people love to write blog in their own expression and creative! That is why I am first Deaf blogger who love to write my blog when I am free only. Until now, my blog still get a lot of readers on every month. I also busy to help my family, I also like to spend time with my deaf friends too! ;) Thanks to this blog, my family and I can travel around the world! 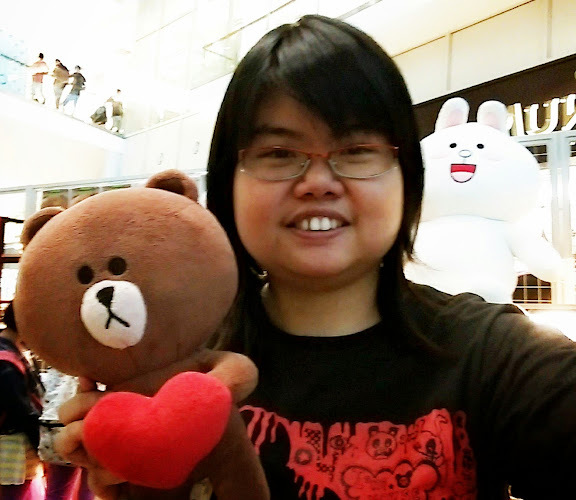 I am proud to be Deaf role model, I also hope that I can inspire te Deaf community in Malaysia! Not me only, you can do it too! As Deaf, you can walk in the path to become great and successful person in your life! Thank you to Rohaizat and Nor Nani from Mingguan Wanita! I have always wanted to be a speech therapist. But I ended up studying marine life. However, this dream of mine has never leave me, and I still feel proud to learn more about my friends who cannot hear and speak like I do. Now, thanks to friends like you, I felt closer to the silent world. Thanks for communicating with the world. You are doing great! 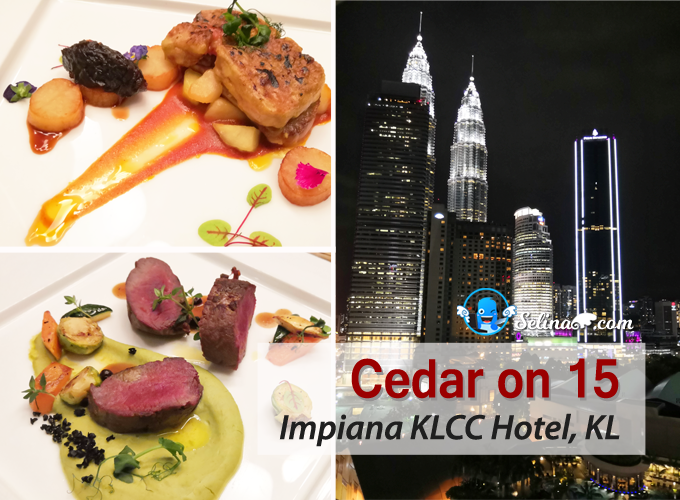 Hai selina!^_^kalau ada masa lawat blog saya pula ya?